Those words came from jury chairman Larry Lempert, during his public conversation with journalist Gunilla Kindstrand today. 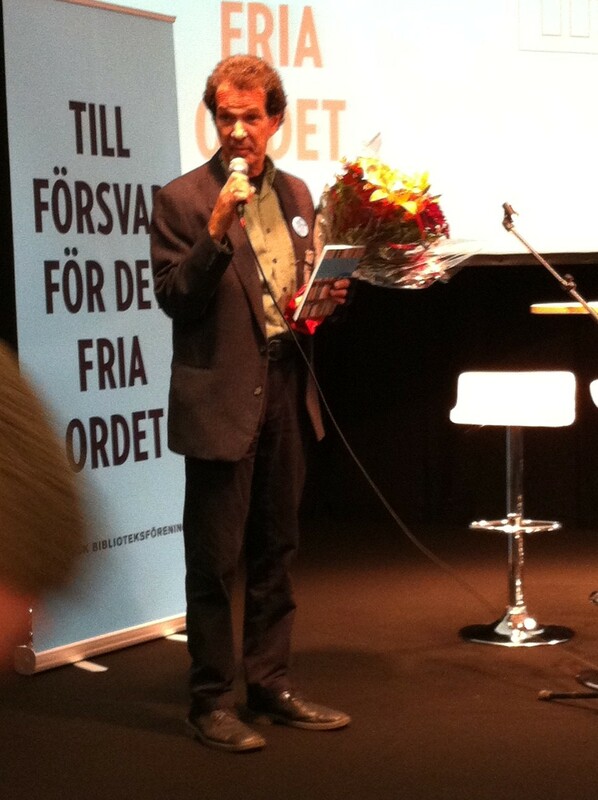 The context was the 10th anniversary of the Astrid Lindgren memorial award, and during 20 minutes the work of the ALMA and the previous recipients were discussed. – How hard is it to really reach out to all around the world? – Well, we are in contact with some 400 institutions and organisations internationally. They are the experts on the authors, storytellers, illustrators and reading promoters in their territory, or language area. And of course, working with the ALMA came up. – Do you argue sometimes in the jury? – Always. In a positive way. It´s always good to have different opinions, and by debating different views we find the right way. And in the end, when the recipient or recipients are chosen, there is always a consensus in the jury. 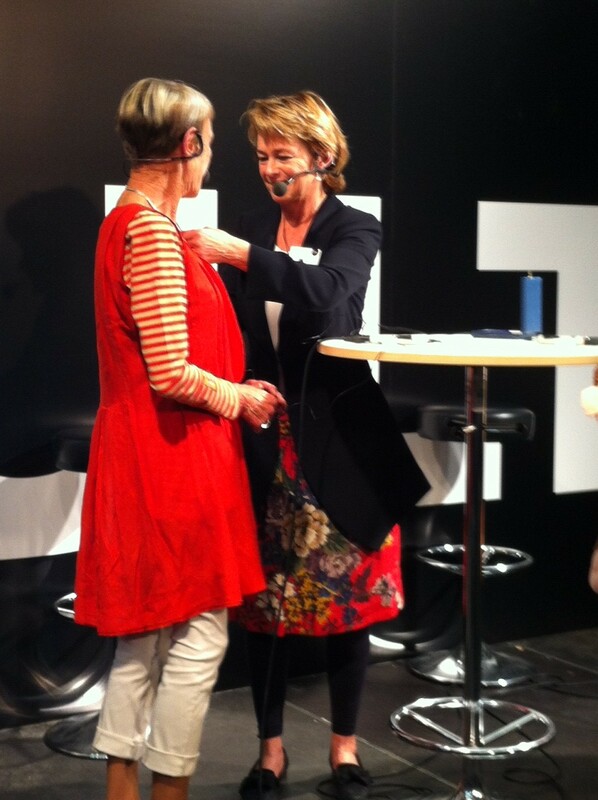 Minister for Culture, Lena Adelsohn Liljeroth, presented the Illis quorum medal to Gunilla Bergström, who receives the medal for her pioneering work as children’s book author and illustrator with an unfailing child’s perspective. 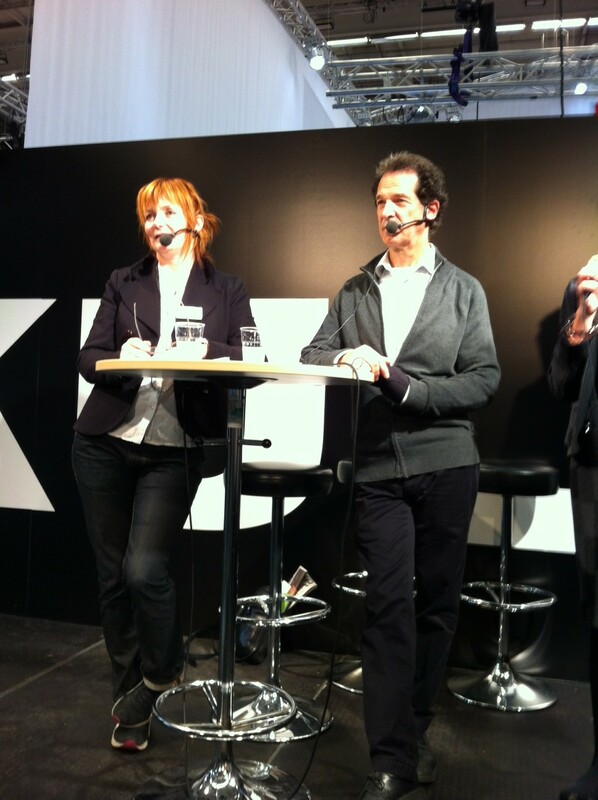 – I am extremely surprised, delighted and grateful, Gunilla Bergström said after the presentation. Birgitta Wallin, editor at publishing house Karavan and Gunilla Brinck, library consultant, talked to Anna Selvåg from Swedish Arts Council about their experiences of working with reading promotion for children in South Africa and Botswana. Both Birgitta and Gunilla gave very interesting examples of the aim to develop good methods for reading promotion. In the case of South Africa, Gunilla talked about the work of identifying reading promoting organisations, and the difficulties going from a storytelling tradition in society, towards a tradition of reading. The Committee on Literature, appointed by the Swedish government last year, presented its final report. The purpose of the Committee’s work was to leave suggestions on how to strengthen the position of literature, and to propose what kind of efforts should be done by the government to meet the technical challenges of today. A report of 600 pages was officially handed over to the Swedish Minister for Culture, Lena Adelsohn Liljeroth. The report is commented by the Director General of the Swedish Arts Council, Kennet Johansson, available in Swedish here. opinions on how to engage reading for children and young adults. Furthermore, Kennet Johansson, talked to Anna Ekström, director general of the Swedish National Agency for Education, about the importance of encouraging reading for children and youths. Much of the conversation dealt with the importance of school libraries. – The school library was extremely important in the village I grew up in, said Kennet Johansson. We were only allowed to borrow one book at a time during the weekends, but I managed to negotiate myself to three books instead. The conversation was also about the need for libraries to co-operate with schools, as to the need to develop the skills of teachers and educators. Anna Ekström emphasized the importance of school libraries as a refuge for children who may have a hard time. Paediatrician and former member of the ALMA jury, Lars H Gustafsson, talked to Kjell-Åke Hansson, managing director of Astrid Lindgren’s Näs, on the subject of children’s rights and Astrid Lindgren’s speech Never Violence! from 1978. Why was it really considered to be so provocative at the time? – With Never Violence! 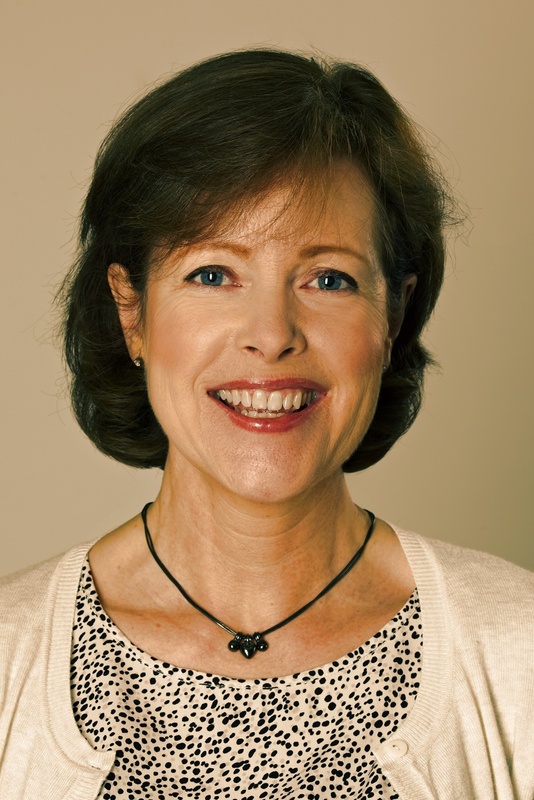 she made a connection between the violence at home and world peace, Lars H Gustafsson said. Every strike is a strike towards war. Lars H and Kjell-Åke talked about Astrid Lindgren’s way of strengthen children’s self-esteem and to make them feel that they also have rights. – You can never underestimate her achievements, Lars H finished. Finally, Larry Lempert, head of the International Library in Stockholm and chairman of the ALMA jury, was presented to the Greta Renborg award for his remarkable marketing efforts. You can´t really tell by looking at the image, but he was very happy! Heads up for Göteborg Book Fair! Starting on Thursday with heaps of so many interesting topics on children’s and young adult literature. Why not visit us in Swedish Arts Council’s stand nr C03:02? On Thursday September 27 at 2:00 pm, paediatrician and former member of the ALMA jury Lars H Gustafsson discusses children’s rights and Astrid Lindgren’s speech Never Violence! with Kjell Åke Hansson, Managing Director of cultural centre Astrid Lindgren’s Näs. On Friday September 28 at 11:30 am, journalist Gunilla Kindstrand discusses Astrid Lindgren Memorial Award during 10 years with jury chairman Larry Lempert. This seminar is a retrospect of the award and the previous award recipients. At 5:30 pm Larry Lempert and Helen Sigeland, director of award office, give a presentation the 2012 recipient Guus Kuijer. 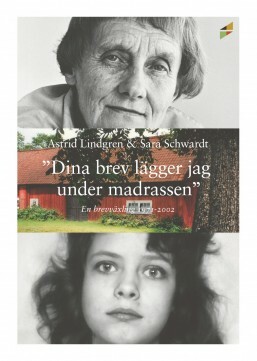 Next week, publishing house Salikon releases a unique book, Dina brev lägger jag under madrassen (approx. I´ll put your letters under my mattress, our transl.). The book consists of the correspondence between Astrid Lindgren and a young girl, Sara, which took place from 1971 until Astrid Lindgren’s death in 2002. 12-year-old Sara wrote a letter to Astrid Lindgren telling her about difficulties in life and everyday problems in growing up. Her letters captured Astrid Lindgren, and this was the beginning of 30 years of correspondence. All letters ended up in Astrid Lindgren’s private archives with the promise that she would never show or publish them because they were so private in nature. However, the letters were discovered by librarian Marit Törnqvist, who was in charge of the Astrid Lindgren collections at the National Library of Sweden. A few years ago, Sara was asked about the issue of publish the letter collection, and she consulted her family who said yes. Which was a brave decision according to Nils Nyman, managing director of Saltkråkan. –Yes, we became close friends, though we never actually met, Sara Schwardt (today a free lance journalist) stated in Swedish National Newspaper Dagens Nyheter last week. Howcome you sent a letter to Astrid Lindgren in the first place? – That´s a secret. Perhaps I´ll reveal the reason sometime in the future. Shaun Tan’s lecture at the 33rd IBBY Congress in London. 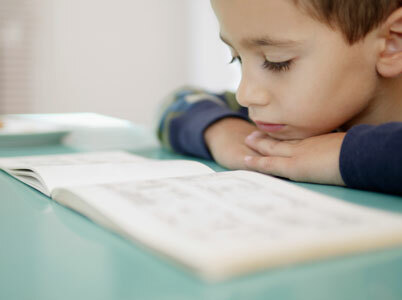 Several reports show that young people read less and less. One in four 15-year-old boys don´t reach a basic level of reading comprehension. Now, Swedish Arts Council and The National Agency for Education arrange a conference under the theme “Everybody reads!”, which will focus on how to create real change by building strong structures and collaborations that promote reading – for all children and young adults . On October 18-19, politicians, school directors, librarians and others, get together to listen to current research, share experiences and discuss how to reverse this negative trend. Link to further reading (in Swedish) here. Hi Luciënne, could you tell us what the reactions were after the announcement of Guus Kuijer as the 2012 ALMA recipient? We received congretulations from our foreign friends and also met new people who contacted us about Guus Kuijers books. What’s been going on since then? Can you describe the international interest in Guus Kuijer’s works? I have received e-mails and other interest from all over the world. So far Hungarian, Polish and Russian rights have been sold of several titles. The Swedish publisher of Guus Kuijer decided also to publish Florian Knol. The Italian publisher of the first Polly-book also bought the rights of the other four Polly-titles. 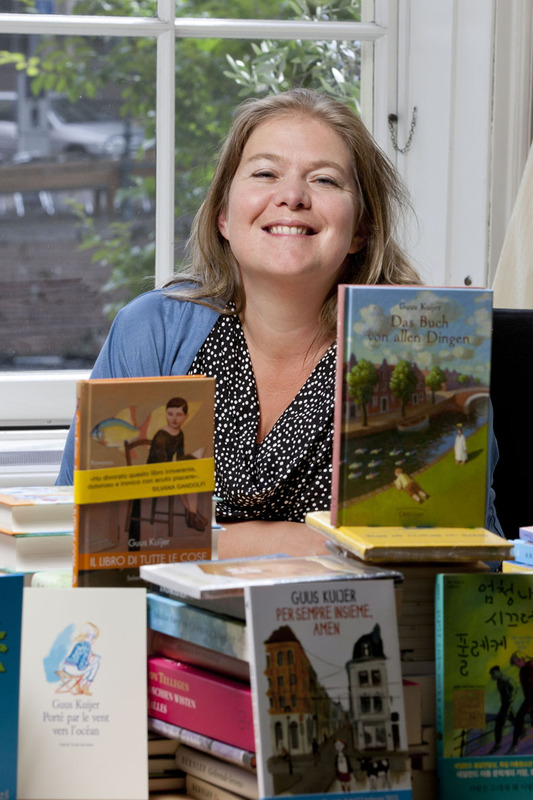 Guus Kuijers French and Danish publishers will re-pubish the Polly-series. There is a lot of interest from more countries, among them China, Brasil, Greece and Spain. Can you see any other effects besides a strictly commercial point of view? Receiving so many warm reactions gave me a real buzz. I have always thought that especially The Book of Everything should be read by everybody around the world, and now many more people will read it. Wonderful! What are your expectations for the book market for this fall? Can you see any trends? There is more and more attention for apps, and I am very curious to see where this is going.